Family-owned and -operated for over 23 years, Hoop-T-Dudes has built a reputation for designing and delivering high quality embroidered logos for businesses, schools, clubs and individuals. We work with shirts, caps, sweatshirts, t-shirts, jackets, denims and a variety of non-apparel items, including bags. Stop in and see our work in person or call us today! If you’re looking for an experienced embroidery shop in Las Cruces, NM that can assist you in getting customized apparel, of the highest caliber, in a timely manner, look no further than Hoop-T-Dudes! We’re your embroidery and monogramming experts, customizing everything from t-shirts to hats, sweatshirts to bags and beyond. We have experience working with corporations, small businesses, nonprofits, schools and private customers, producing runs of all sizes. 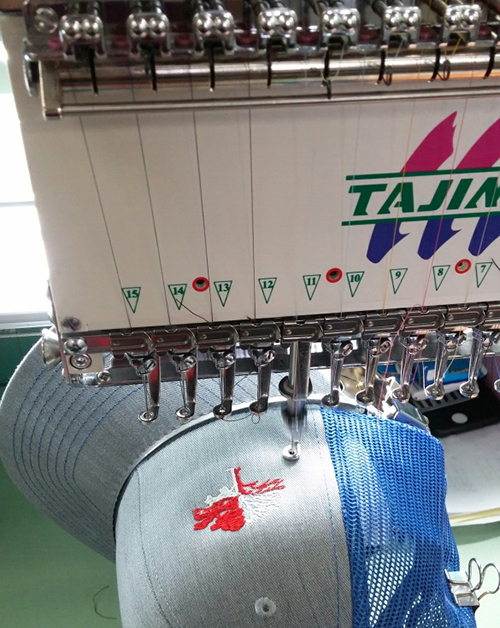 No matter how big or small, intricate or complex your embroidering design is, trust that our tenured team has the equipment and expertise to bring it to life on quality custom apparel. We take pride in the work we do, and it shows in every single garment we deliver to our customers. Our goal is to be your premier partner for custom embroidery in Las Cruces, NM. Our business is built on the idea that customized apparel should be easy to come by. We offer a showroom that’s stocked with apparel items from some of the best brands in the industry. You can stop by and compare textures and prices for yourself, while also asking our team any questions you may have. We’re also flexible with pricing, offering quantity breaks at varying levels to make our services more affordable. And, of course, if we ever deliver anything that doesn’t meet your standards, we’ll set it right—no questions asked. Stop by today and see for yourself just how easy it is to get custom embroidery, done right! Our apparel selection encompasses top-rated name brands, including Port Authority, Nike, Ogio, Sport Tek and many, many more! We have no minimums on run sizes or quantities, ensuring flexible service for all our customers. Our pricing system features breaks at different run sizes, to help you get more for your money. We’re proud to be members of our local Chamber of Commerce, as well as the National Federation of Independent Business (NFIB). Our business is affiliated with the Better Business Bureau (BBB) and has a superior rating. Whether you need 300 shirts embroidered with your company’s logo or a dozen hats for a special event, we’re ready to provide you with pricing that fits your budget. Contact us to get started!